Japan celebrates 50 years of siplomatic relations with Kenya with a set of 5 stamps showing African wildlife on 12 December 2013. All stamps are denominated JPY 50 and is issued in a sheetlet with two of each stamp. 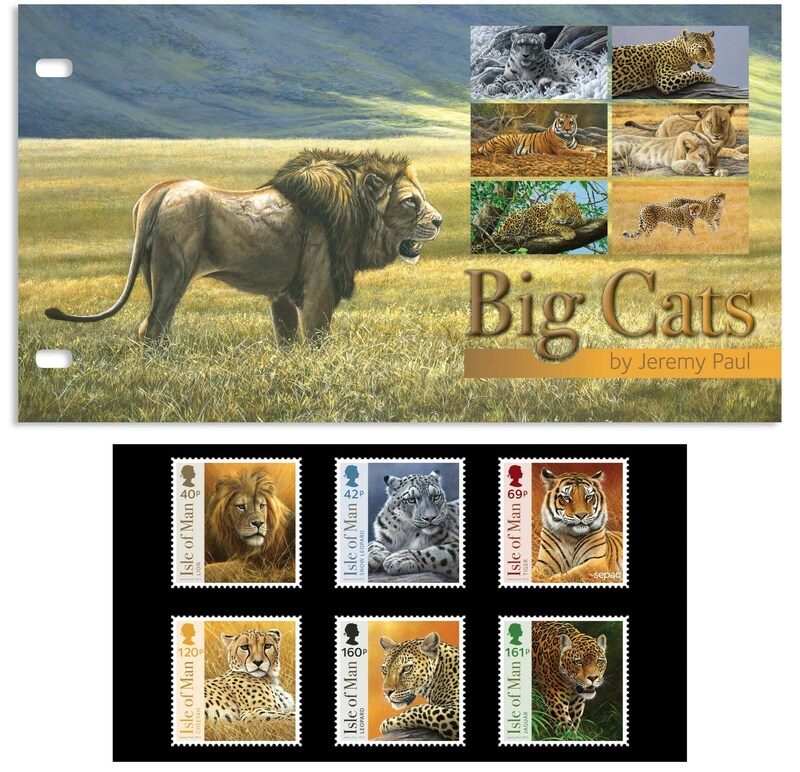 Two of the stamps shows felines, namely a Cheetah mother and cub and a handsome male Lion. The pictured FDP is from Tokyo CPO. If Japanese is one of your strengths, you can read about the issue on the Japan Post philatelic website. 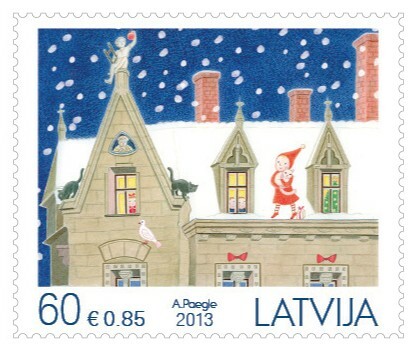 Latvia issued a set of two Christmas stamps on 22 November 2013. 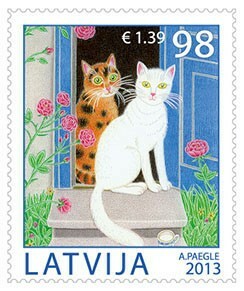 One of the stamps, denominated LVL 0.60 / EUR 0.85 (World letter rate) shows an elf carrying a cat, and two more cats furter along the roof of the building. 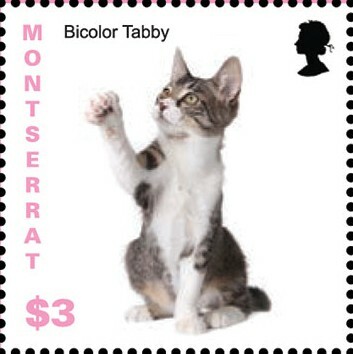 The stamp is designed by Anita Paegle, who also designed the cat stamps issued in July 2013. 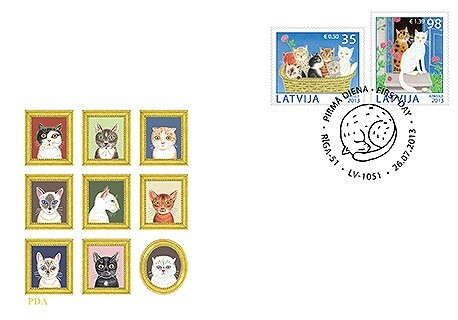 The stamp can be orfered from Latvijas Past's online store (also available in singles). 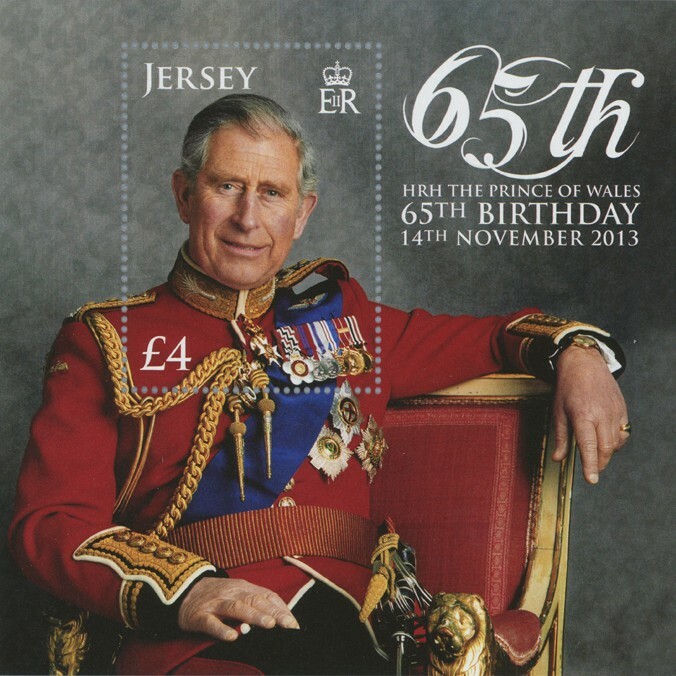 To celebrate the 65th birthday of HRH The Prince of Wales, Jersey Post issues a HBP 4.00 stamp and a GBP 4.00 single-stamp miniature sheet on 14 November 2013. 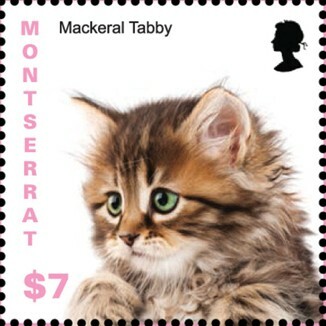 There are no cats on the stamp, but the Prince is sitting in a chair with Lions' heads on the armrest, and they can be seen on the MS selvedge. 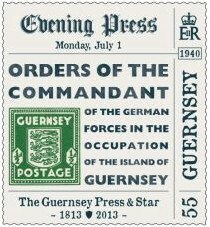 The MS is available from Jersey Post's Online Stamp Shop. 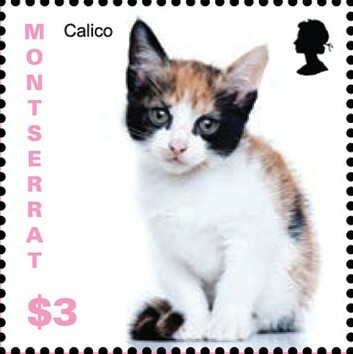 On 7 November 2013 Montserrat issues a set of stamps showing kittens of unspecified breeds. 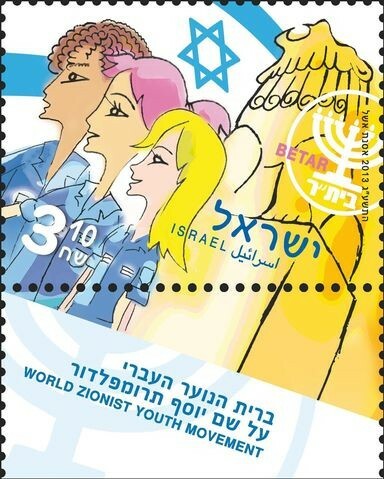 The stamps are issued in two miniature sheets of 4 x XCD 3.00 and 1 x XCD 7.00 stamps respectively. 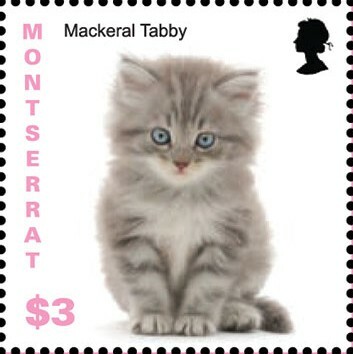 The breeds of the kittens on the stamps are not specified, but the focus is rather on colours and patterns. There are two shorthair kittens - one bicolour tabby and one calico (tortie). Then there are three semi-longhair kittens - red, blue and brown tabby, respectively. 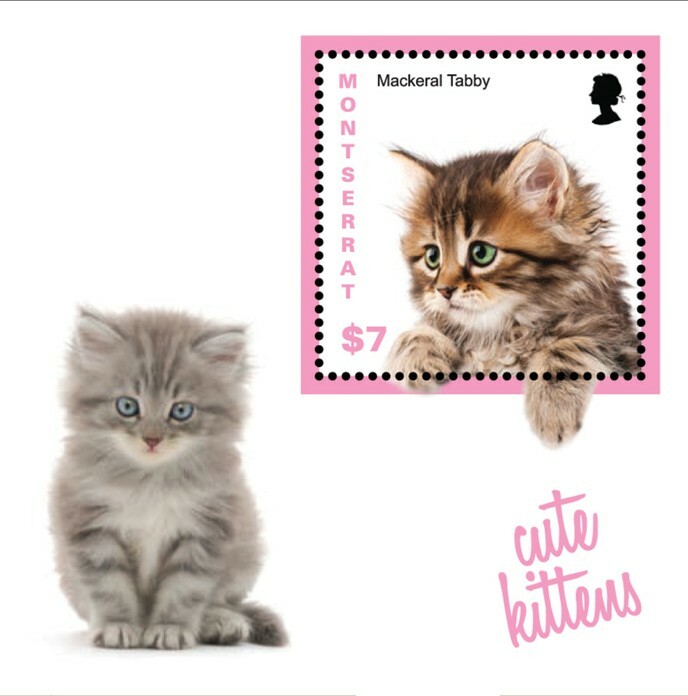 The kitten playing with a ball of yarn in the selvedge of the 4 x XCD 3.00 MS looks like a Silver Abyssinian, while the selvedge of the XCD 7.00 MS is adorned with the same blue tabby kitten as the 4th XCD 3.00 stamp. On 6 November 2013, UNPA will continue its Coin and Flag series by releasing 24 new stamps. 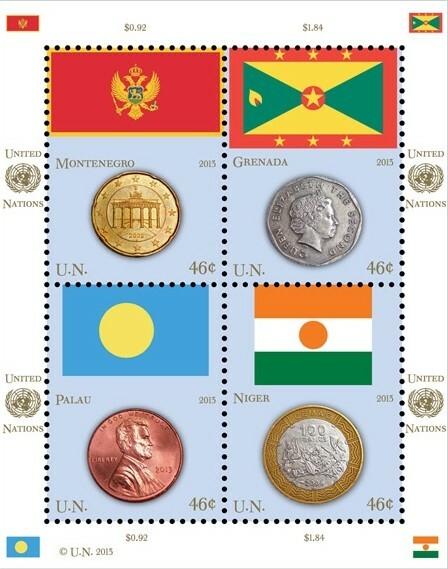 This is the seventh year of the stamp series representing the coins and flags of Member States of the United Nations. 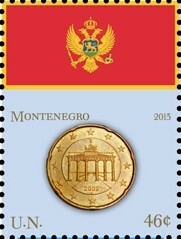 One of the USD 0.46 stamps issued for the New York office shows the flag of Montenegro with its Heraldic Lion. The stamps for each of the UNPA offices are issued in 2 se-tenantly printed miniature sheets, each of 4 stamps. The flags of the countries are also printed on the selvedge of each sheet, and the Montenegrin flag can thus also be found in the upper left corner of the MS. 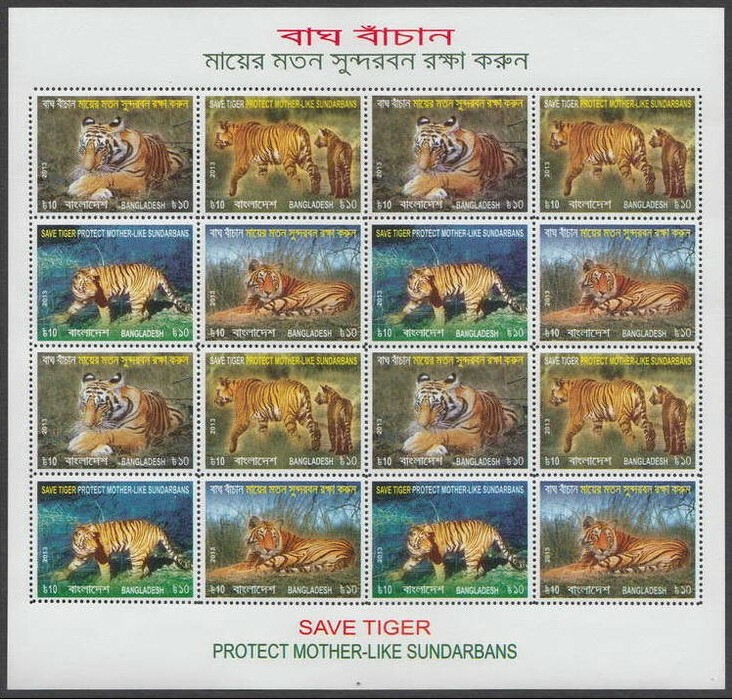 The issue can be ordered from the UNPA Online Stamps Shop. The Geman Post takes part in the 1st Abibria Philatelic Exhibition in Zörbig, in the district of Anhalt-Bitterfeld in Saxony-Anhalt. 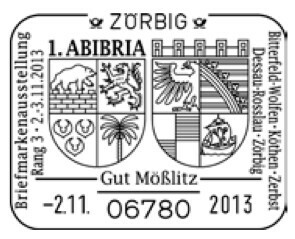 The postmark will be in use at the venue in Zörbig on 2 and 3 November 2013. 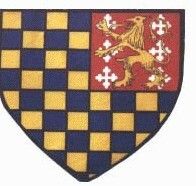 It shows the district CoA with a Lion Rampant in the upper right quadrant. The outer envelope should be marked with "Sonderstempel nr. 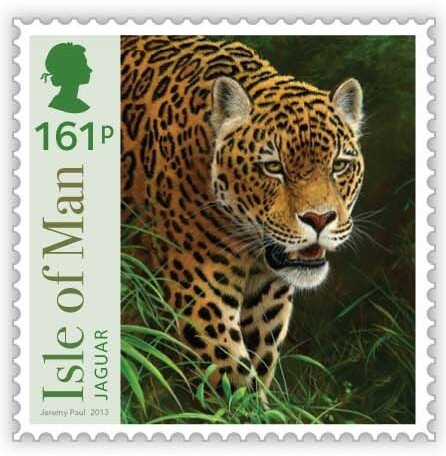 20/393", and must arrive at the Special Postmark Office no later than the last date of use. Halloween is celebrated in many countries around the World, but most of us first and foremost associate the modern celebrations with North America. 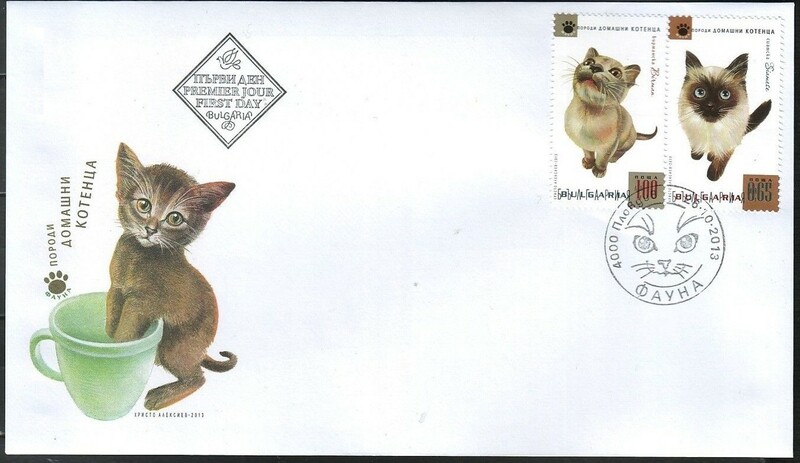 We have previously seen many Halloween postmarks from USPS featuring black cats, and also this year you can have your mail postmarked with one of the sort. The Pennsylvanian Village of Canadensis (pop. appx. 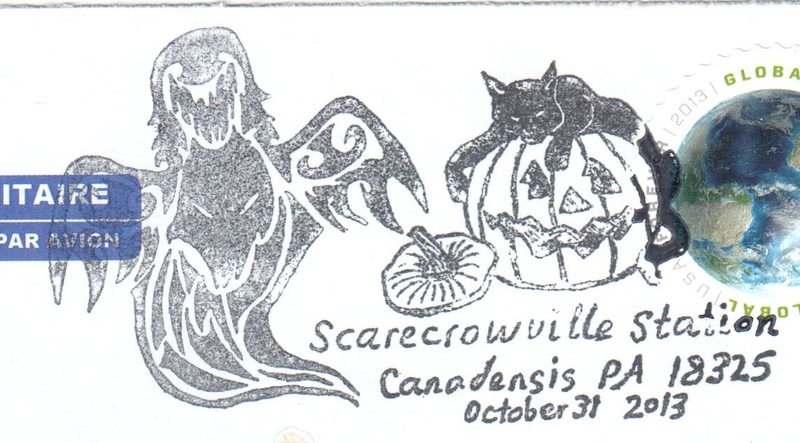 2000) will set you in the right mood with a postmark showing a ghost and a black cat resting atop a pumpkin. The Minato Line is a Japanese railway line between Katsuta and Ajigaura, all within Hitachinaka in Ibaraki Prefecture. 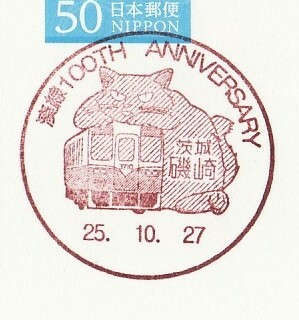 It was inaugurated 100 years ago, and the event was marked by a commemorative postmark in use at Hitachinaka City Post Office on 27 October 2013. 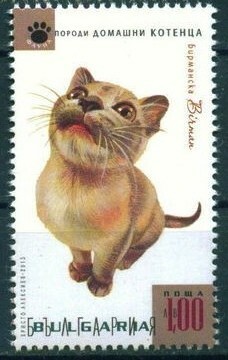 The postmark shows a cat leaning over a railway car. 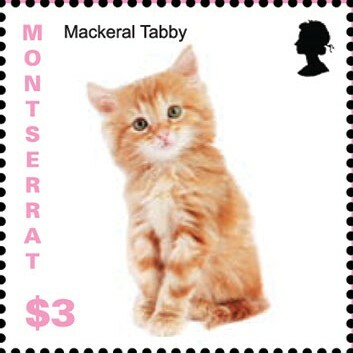 Unfortunately this postmark came to our attention too late for ordering. 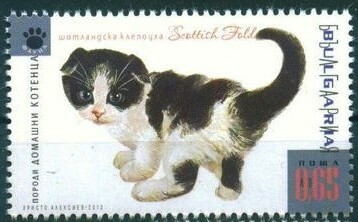 The Bulgarian Post issued a set of 4 stamps showing kittens on 26 October 2013. 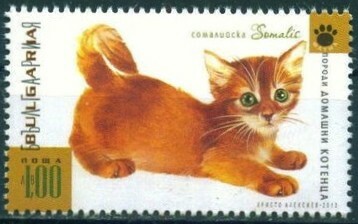 The stamps show a Siamese and a Scottish Fold, each denominated BGN 0.65, and a Burmese and a Somali, each denominated BGN 1.00. The stamps are issued in two miniature sheets with two each of the landscape and portrait format stamps respectively. There's also a PSE demoimated 0.65 with an unspecified kitten balancing on a cup. 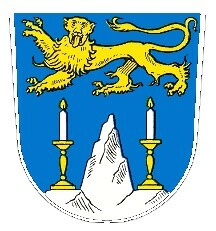 The stamp indicium also shows the Heraldic Lion from the Bulgarian CoA. 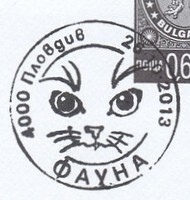 There's a First Day Postmark from Plovdiv with a stylized cat. 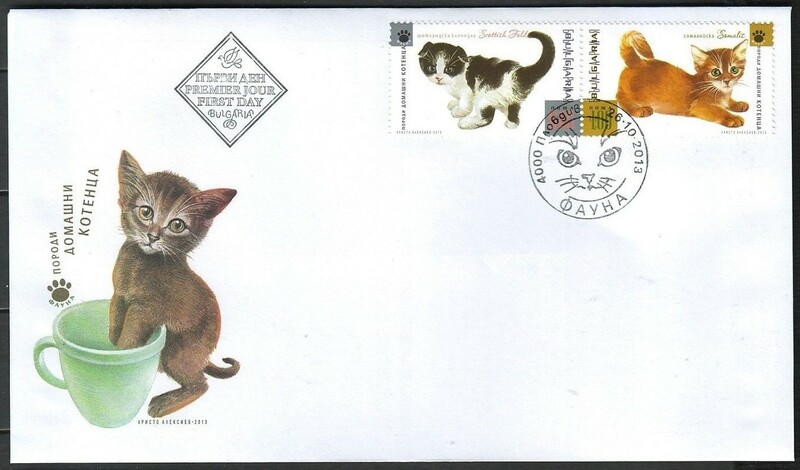 The official FDCs show the same kitten in the cachet as the PSE. 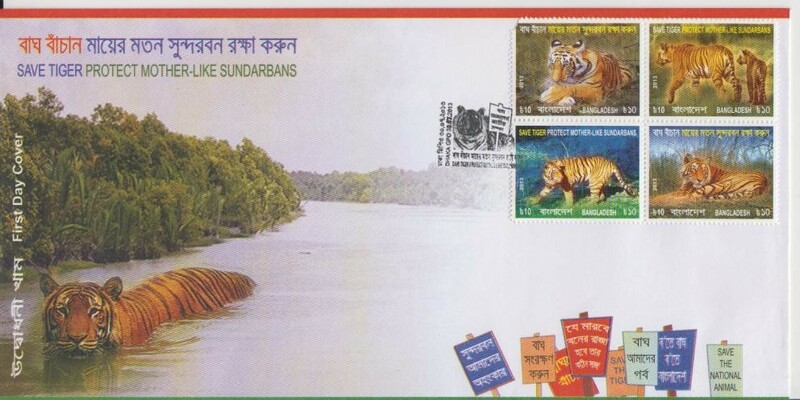 The two FDCs from the Philatelic Bureau are issued with pairs of stamps in portrait and landscape format respectively. 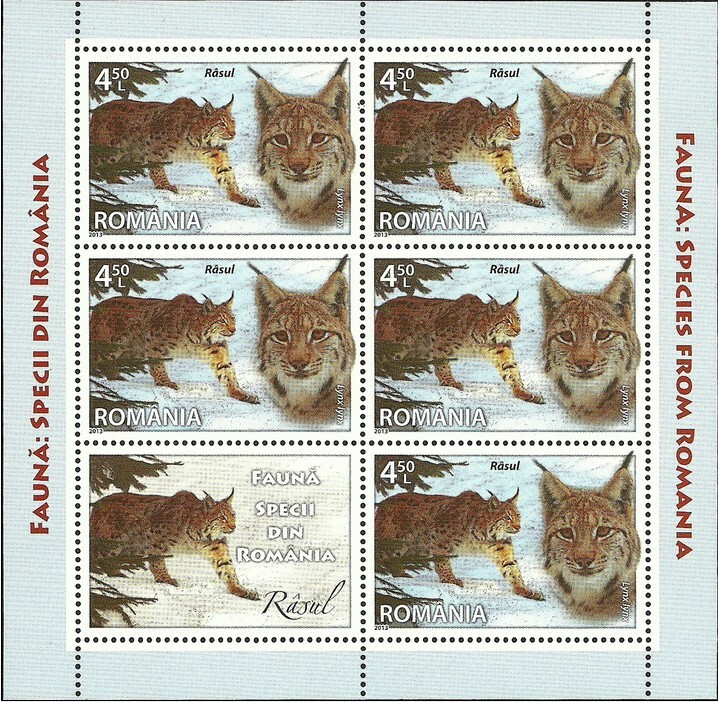 On 25 October 2013, Posta Romana issued a set of four stamps titled Fauna - Species from Romania. 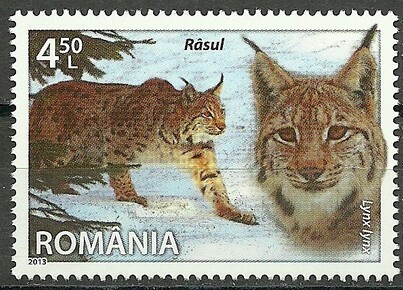 The RON 4.50 (inland letter 250-500g) stamp in the set shows a Eurasian Lynx. 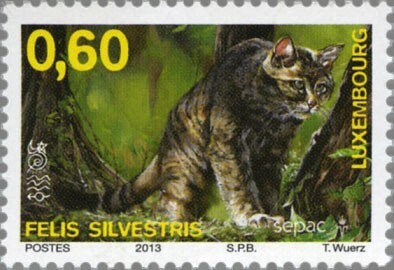 The stamps are sold in sheetlets of 5 stamps and one undenominated label which also shows a Lynx. The issue is presented at Romfilatelia's website. In the city of Lewes in Delaware Bay they know how to celebrate their post office's 100th birthday. How? With a commemorative postmark, of course! 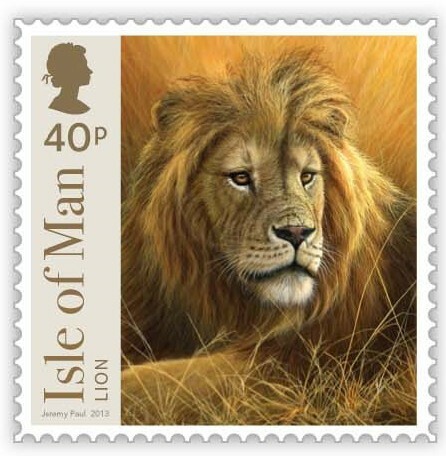 The postmark shows the seal of the city which shows a Lion Rampant. The seal is reportedly nearly the same as the coat of arms of Lewes in East Sussex, England. 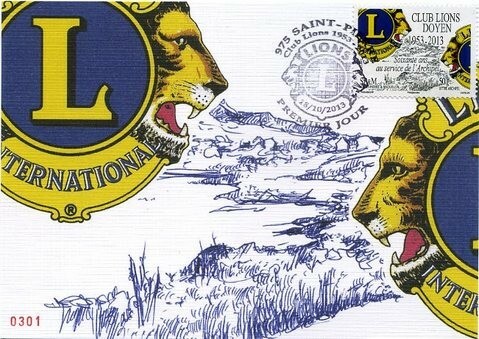 Lions Club has been established on the French archipelago of St. Pierre & Miquelon for 60 years. 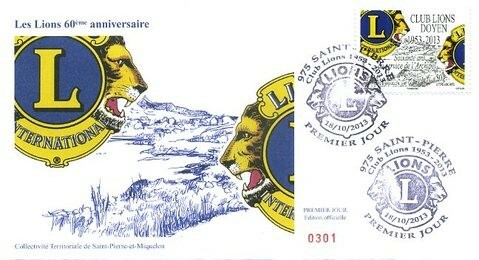 The event is marked by La Poste with a stamp issued 18 October 2013 showing the Lions International emblem. The stamp is denominated "Lèttre archipel 50g" (letter within SP&M up to 50 grammes - EUR 0.47 on issue). 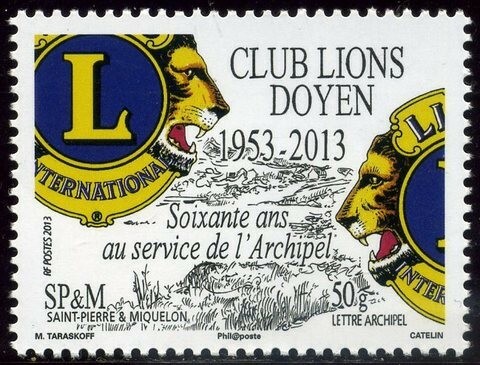 The FDC also shows the emblem in the cahet and in the First Day Postmark from St. Pierre. Along with the official FDC, there's also a maximum card with the emblem and the FDP. The issue is presented at the SP&M Philatelic Website. 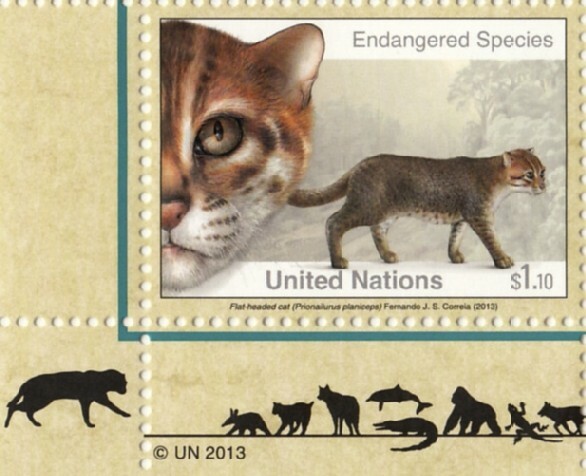 Many of the stamps in the ongoing UNPA series showing endangered species have shown felines. This year's installment has one on one of four USD 1.10 )international letter rate) issued for the NY office on 10 October 2013. 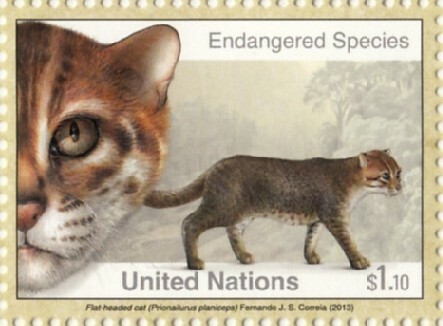 The Flat-headed Cat can in the wild be found in the Thai-Malay Peninsula, as well as on Sumatra and Borneo. Since 2008, it has been listed as endangered by the IUCN due to destruction of wetlands in their habitat. It is suspected that the effective population size could be fewer than 2,500 mature individuals, with no subpopulation having an effective population size larger than 250 adult individuals. The stamp is issued along with 3 other stamps for the NY office and is sold in sheetlets of 16 se-tenant stamps. 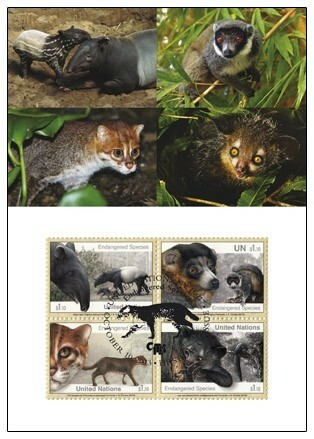 As has been the case with the Endangered Species series for some time, the four species presented in the issue can also be found as silhouettes in the sheetlet corners, and the Flat-headed Cat can be found in the lower left corner. As has also been the case for several years, the upper and lower marginal labels are adorned with animal silhouettes, amongst them a Lynx. 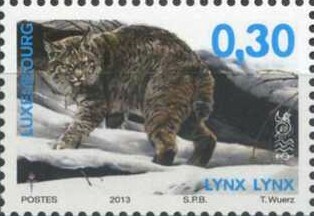 The Lynx can be found over and under each corner stamp - also on issues from the Geneva and Vienna offices.. 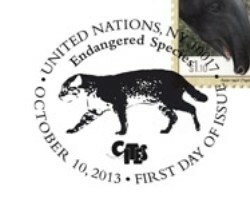 The Flat-headed Cat can also be found in the NY First Day Postmark and on the official maximum card. All stamps and othe philatelic products of this issue can be ordered from UNPA's online Stamps Shop. 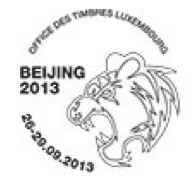 The Luxembourg Post is represented at Beijing 2013 International Philatelic Exhibition with a commemorative postmark available on their stand. 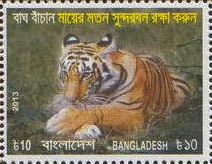 The postmark shows a stylized Tiger. 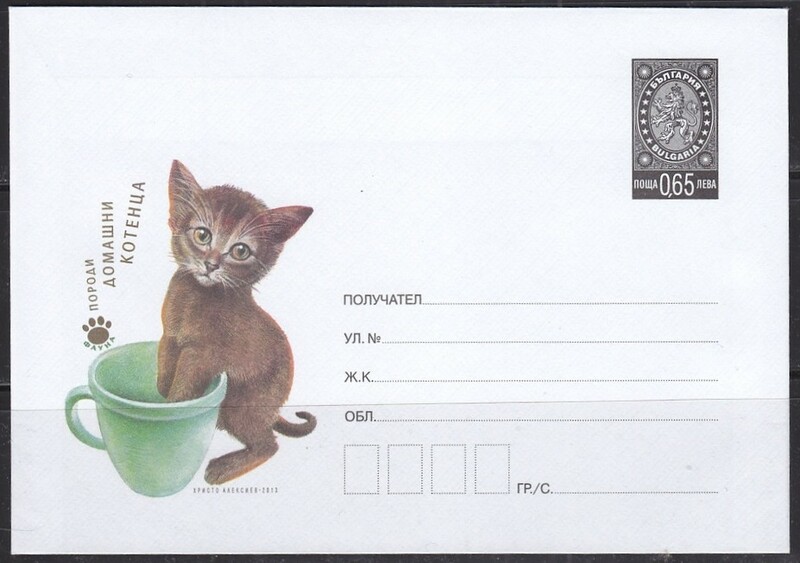 The postmark was in use from 26 to 29 October 2013. Unfortunately it came to our attention too late for ordering. The set is presented at the Luxembourg Post Philatelic Portal. The German Post celebrates International Children's Day with a commemorative postmark in Herford 21 September 2013. 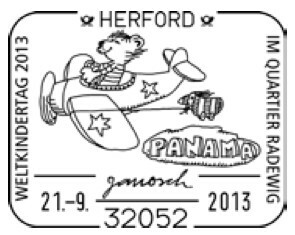 The postmark shows Janosch's story book character Little Tiger flying an airplane. The outer envelope should be marked with "Sonderstempel nr. 17/313", and must arrive at the Special Postmark Office no later than the last date of use. 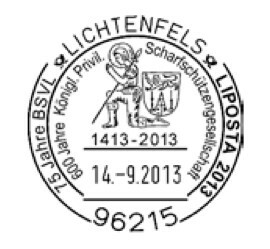 The German Post will honor the philatelic exhibition LIPOSTA 2013 in Lichtenfels, Bavaria with a commemorative postmark on 14 September 2013. 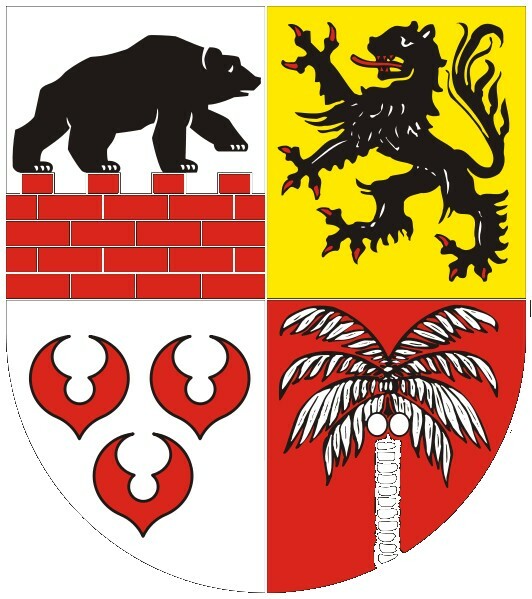 The postmark shows the CoA of Lichtenfels which includes a Heraldic Lion. The postmark also commemorates the 75th Anniversary of the local philatelic club as well as the 600th anniversary of royal privilige of the local marksmen's association. The outer envelope should be marked with "Sonderstempel nr. 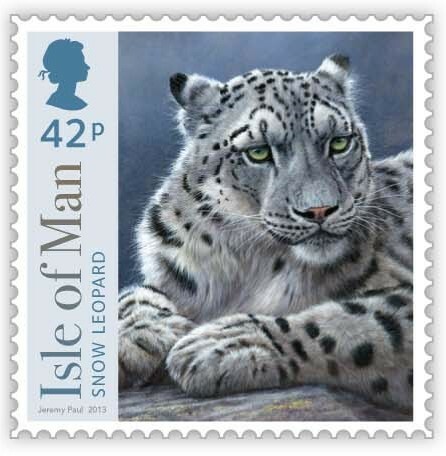 17/302", and must arrive at the Special Postmark Office no later than the last date of use. 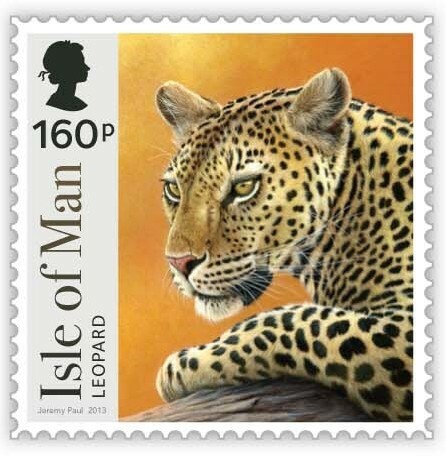 On 13 September 2013 the Isle of Man issues a set of six stamps dedicated to renowned IOM based wildlife artist Jeremy Paul and featuring 6 of his paintings of Big Cats. 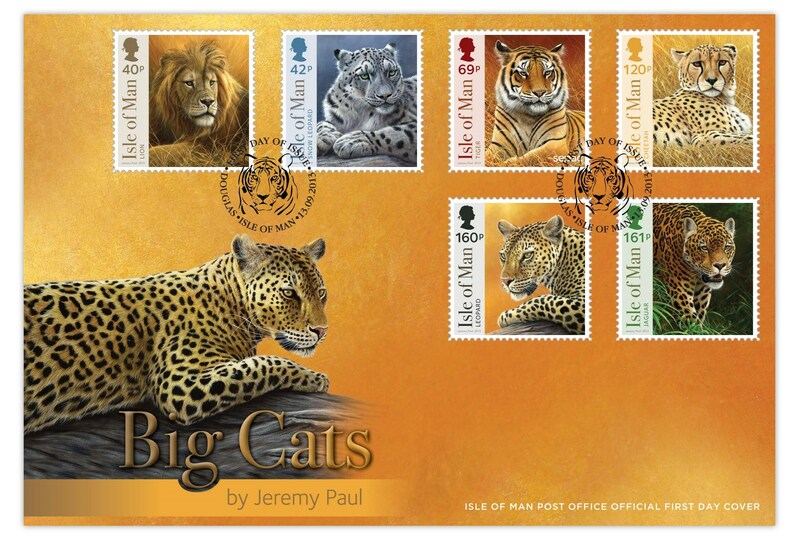 There's an FDC with a Tiger in the first day postmark and a Jaguar in the cachet. The story of the issue (by Jeremy Paul himself) is inside, told on an illustrated information card. The FDC is sold at GBP 6.62. 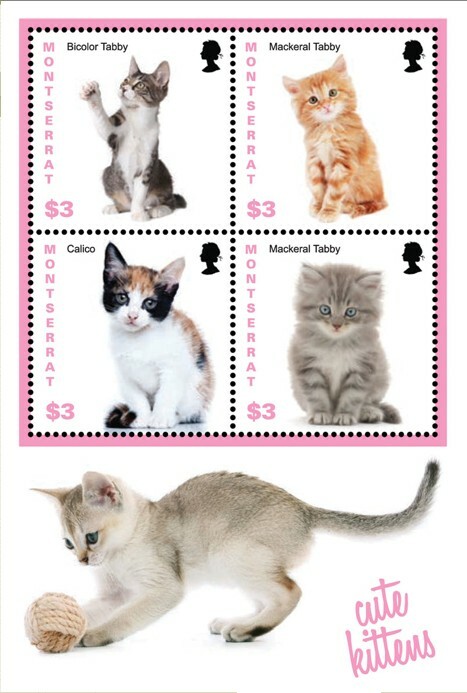 A presentation pack containing all six stamps and showing all six types of cats on the cover is sold at GBP 6.67. 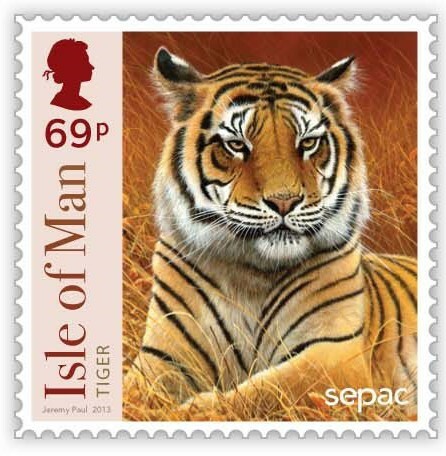 The stamps and othe philatelic productsare available from the IOM Philatelic Bureau's online shop. 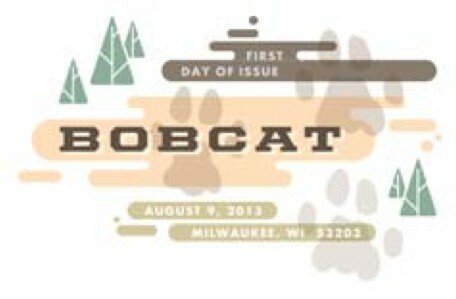 On 9 August 2013 the USPS will issue a variety of the 1c Bobcat stamp issued last year. The new variety is gummed rather than self-adhesive. It is issued in coils, so it will be horizontally imperforate. An inkjet colour First Day Postmark will be in use in Milwaukee, WI. 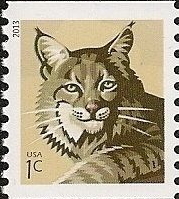 The postmark shows the word "Bobcat" and three Bobcat pawprints. 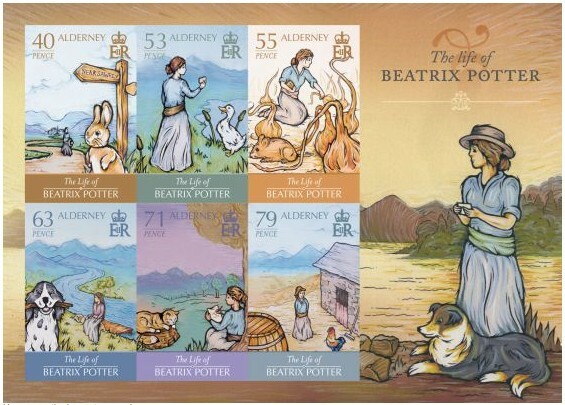 On 31 July 2013 Alderney issues a set of six stamps celebrating the life of Beloved beloved children's book author Beatrix Potter. 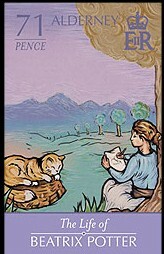 The GBP 0.71 stamp of the set shows Ms Potter sitting by a tree writing, watched by a cat. 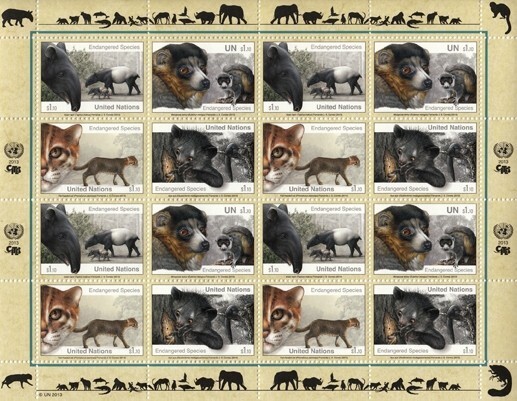 The stamps are issued in sheetlets of 10, as well as in a miniature sheet with one of each stamp in the set. 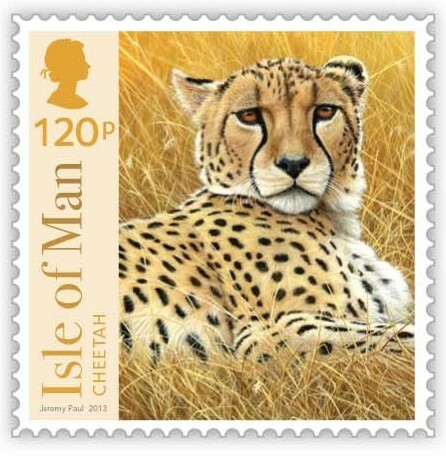 The stamps are available from the Guernsey Philatelic Bureau's online shop. 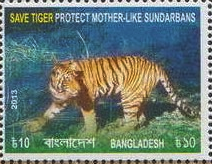 The Sundarbans National Park and Tiger Reserve Lies in the Ganges Delta on the border between Indian and Bangladesh. 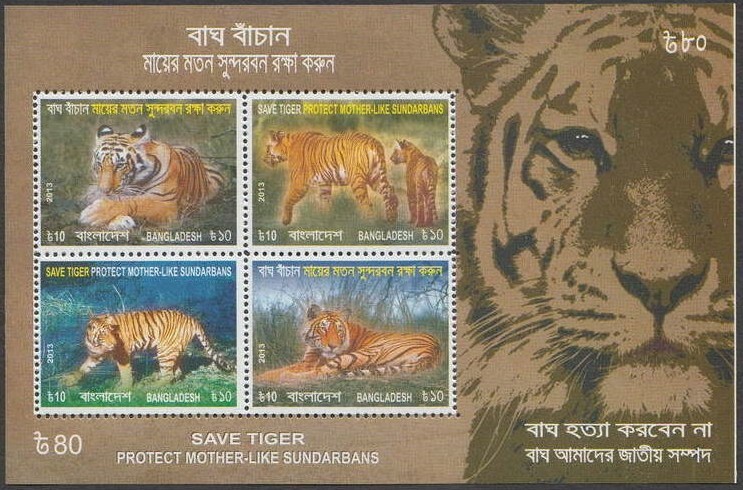 The Bangladesh Post Office issued a set of four stamps to promote the Save the Tiger Project on 30 July 2013. 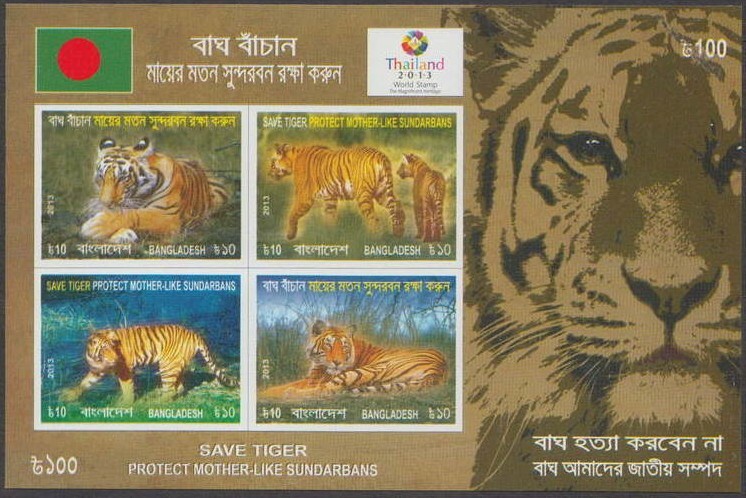 All 4 stamps are denominated BDT 10.00, and they are issued se-tenantly in sheetlets of 16 stamps as well as in a 4-stamp MS (sold at BDT 80.00). 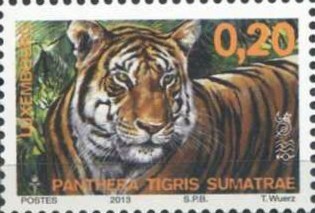 There is also a limited edition, imperforate MS issued for the Thailand 2013 Philatelic Exhibition (sold at BDT 100.00). 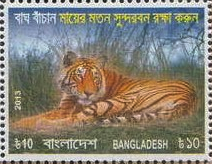 On the FDCs, there are Tigers both in the cahet and in the postmark. 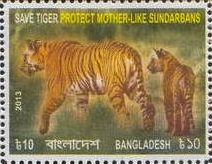 The stamps are presented at the Bangladesh Post Office's Websiste. 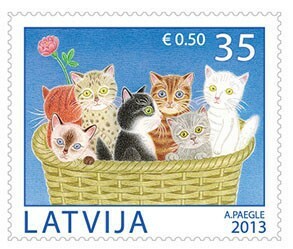 Cats are the most popular pets of Latvian families, and the Latvian Post issues a set of stamps in their honour on 26 July 2013. The set consists of 2 stamps denominated LVL 0.35 / EUR 0.50 and LVL 0.98 / EUR 1.39 resepectively. 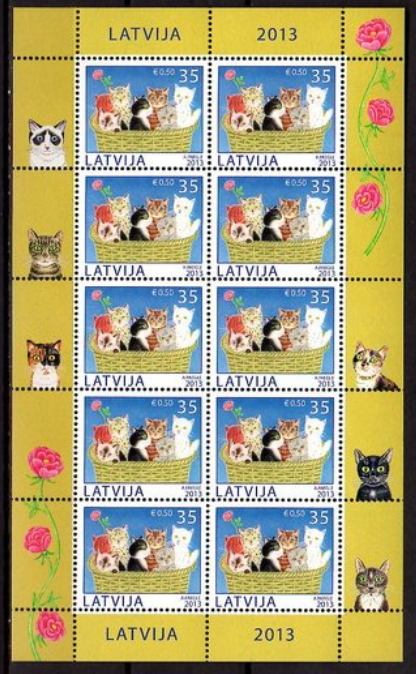 Since Latvia is joining the Euro-Zone on 1 January 2014, the stamps are denominated in dual currencies. 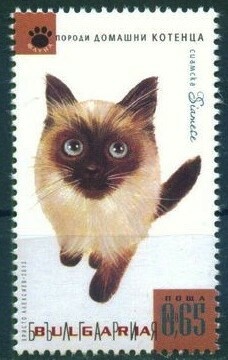 The stamps are issued in sheetlets of 10 stamps, each with 6 marginal labels with cats. 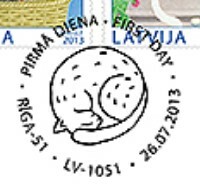 Some of the cats from the marginal labels can also be found in the FDC cachet, and the First Day Postmark shows a sleeping cat. 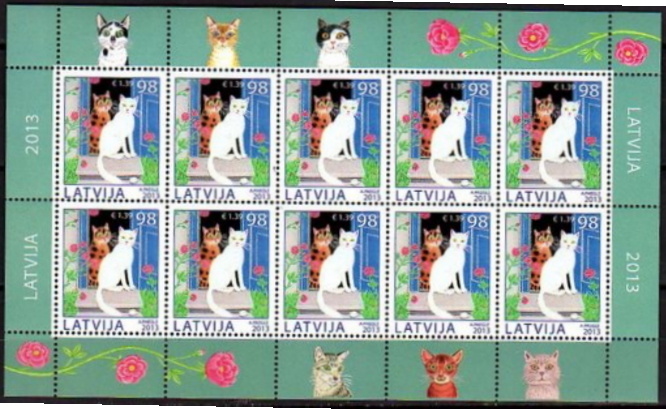 The stamps and philatelic products are available from Latvijas Pasts' Online Phialetelic Shop. 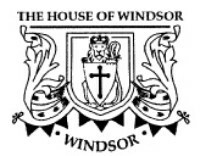 At Windsor a permanent pictorial postmark celebrating th House of Windsor and including a Heraldic Lion will be in use from 10 July 2013 to 9 July 2014. At the time of reporting we do not have the order details from this postmark, but it can be ordered from Norvic Philatelics. 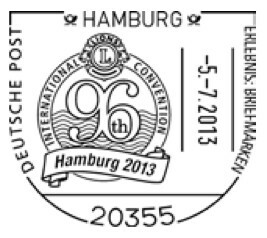 Lions International's 96th International Convention took place in Hamburg in July, and Deutsche Post marked the event with a commemorative postmark on 5 July 2013.